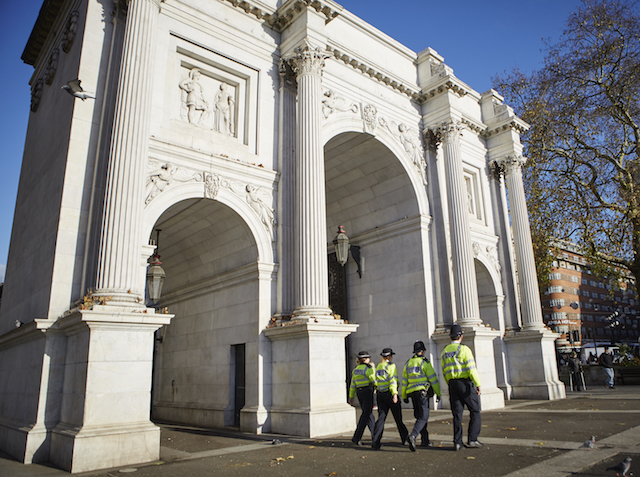 Was Marble Arch ever a Police Station? The short answer is no but it was used by the Metropolitan police for over 50 years. It was never a fully functioning police station, i.e. a place to report crimes, a building with holding cells or interview rooms. 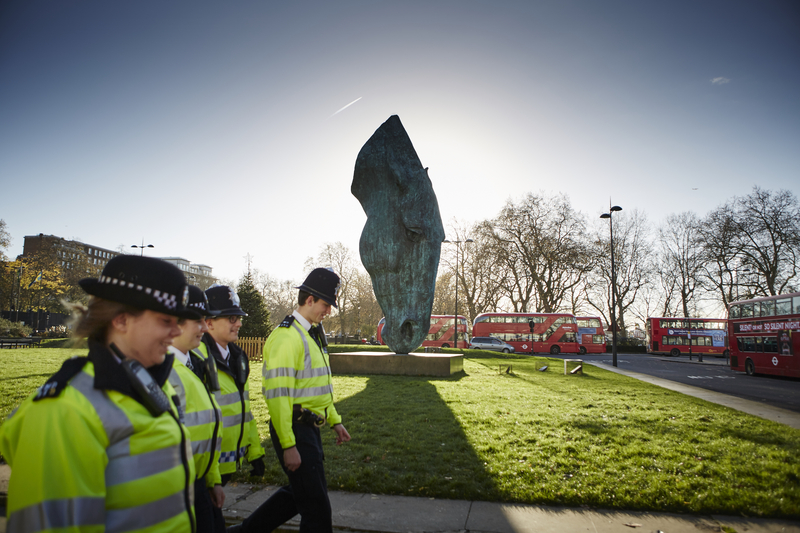 This myth may have grown out of confusing Marble Arch with the Wellington Arch at Hyde Park Corner, which did house a working police station until the late 1950s. Marble Arch has been used by the police, however. When the Arch was being rebuilt following its removal from Buckingham Palace to its current location, architect, Thomas Cubitt was instructed to convert the interior spaces to “living rooms”. 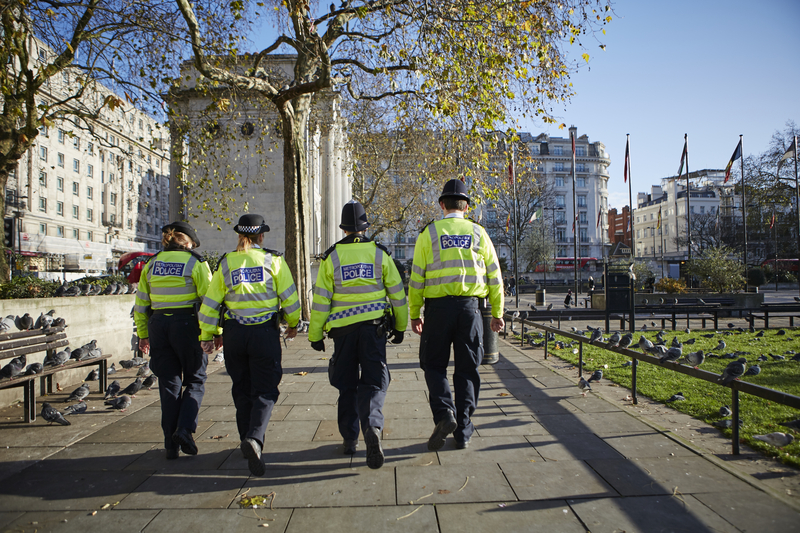 In 1851 the building was made available to the police force to assist with carrying on its duties in Hyde Park. The Chief Commissioner of Police thought that the rooms “would afford accommodation for six single men” whilst in times of commotion, the Arch “would admit a considerable body of Police being assembled at this important point.” It served as a useful outpost for the police even after a purpose-built Metropolitan Police Station house was provided in the park in 1902. Meanwhile, Wellington Arch served as one of the smallest police stations in London until the 1950s (when it even housed police cat Snooks). English Heritage tell us that “the police shared occupation of the building with park gate-keeper from as early as 1831.” They moved out when Wellington Arch was dismantled and repositioned to look down Constitution Hill, but “by April 1884 all was ready for an inspector and fifteen constables to move back”. You can read our guidebook, The Story of Marble Arch free, online.